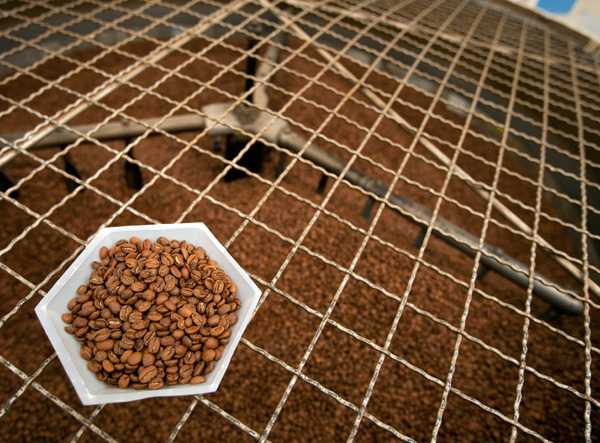 NOTCOT has a great gallery of images and video from the Kahlua coffee roasting and grinding operations. I have been playing with roasting small batches of coffee at home, so I’m pretty excited to see how such a large volume operation works. 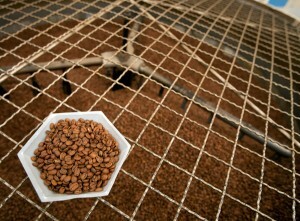 You can see the whole gallery of the roasting process at NOTCOT’s Kahlua Part II: Coffee Roasting/Making. Also take a look at Kahlua Bean to Bottle Part I, where you can see what a raw coffee bean looks like. 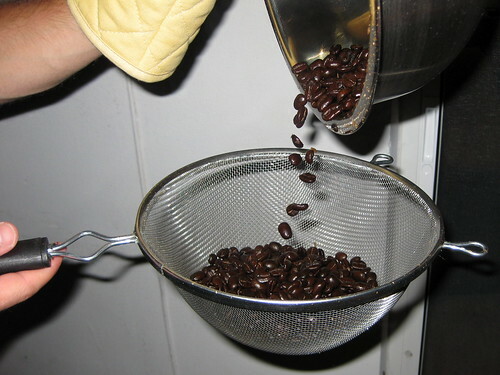 I just tried roasting my first batch of green coffee beans at home using a heat gun and a mixing bowl. Overall, I roasted the beans way too dark, but it was my first time. I’m very excited about the future. With the help of my buddy Carlos, I was able to document the process. Check out the photos on my Flickr account below. I’ve been researching Coffee Makers for a product design studio project I’m working on (shameless portfolio plug), and I ran across the WMF Coffee Pad. “Charming” is the word that pops into my head first, I’m really in love with the design. The use of color to highlight the form of the mug does a great job at putting focus on the item we associate with coffee the most, while letting the machine itself visually fall into the background. It doesn’t seem like an extremely small machine (from the photos) but the visual impact happens where it counts, and I think as a consequence it comes across smaller than it is. Although, I know the white background in the photos from the website are contributing to that effect. 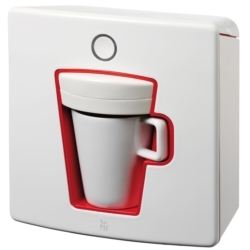 The WMF Coffee Pad won a Red Dot award in 2007. See a lot more information at the official product page.